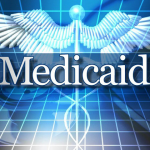 RICHMOND, Va. (AP) – The chances of Virginia joining a majority of states that have expanded Medicaid have increased significantly after a key GOP lawmaker flipped positions on the issue. Republican Del. Terry Kilgore said Thursday on the John Fredericks Show that he’d changed his mind after years of opposition to Medicaid expansion and now supports it. Kilgore said his change of heart was due partly to President Donald Trump’s embrace of work requirements for low-income people on Medicaid. The powerful lawmaker from Southwest Virginia could help provide political cover for other Republicans to support expansion. Republicans have blocked Medicaid expansion in Virginia for years, saying its long-term costs were unsustainable. But they have softened their opposition this year after a Democratic wave helped elect several new lawmakers who campaigned specifically on expanding Medicaid.